In the midst of a potential gas supply crisis, the nation’s gas industry leaders have listened to the Prime Minister’s plea for cheaper and more reliable gas supplies for domestic use. 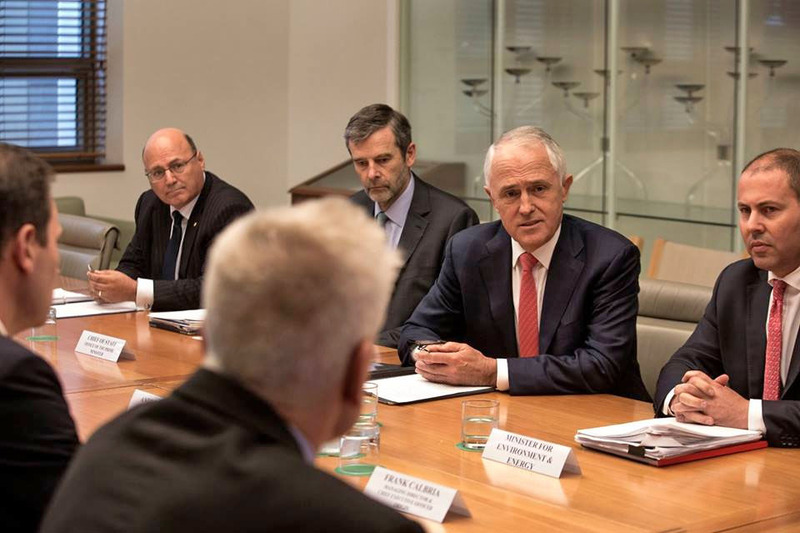 Malcolm Turnbull and Federal Minister for Environment and Energy Josh Frydenberg recently held a closed-door meeting between Santos CEO Kevin Gallagher, Shell Australia chair Andrew Smith and other heads from Origin Energy, ExxonMobil, Total, Asia Pacific LNG, Beach Energy, Gladstone LNG Operations, Senex Energy and the Australian Petroleum Production and Exploration Association. They agreed to a series of measures to guarantee gas supply during peak electricity demand in the National Electricity Market, such as during heat waves before the end of 2017. The Australian Energy Market Operator (AEMO) will be given powers to direct the market. Gas producers also agreed to make more gas available to the domestic market as soon as possible, to keep downward pressure on prices. Producers will revise their domestic gas production forecasts, and AEMO will produce an updated supply outlook. Two LNG exporters committed to being net domestic gas contributors, as part of their social licence. “Australia has enormous gas resources. We are shortly to become the largest exporter of LNG in the world. It is not acceptable for Australians, families and businesses, to be short of gas. We are entitled to expect that our families, our businesses, which employ thousands of Australians, are entitled to access gas and do so securely and affordably,” Turnbull says. The Australian Pipelines and Gas Association (APGA) welcomed the measures. sufficient gas, but puzzling that the crisis has had to reach this point for this solution to be found,” APGA chief executive Cheryl Cartwright says. APGA is also concerned the government has announced gas market reforms are to be further accelerated. “The timeframe for implementation is already extremely tight and we have seen the impact of this in the drafting of legislation,” Cartwright says. For now, the Australian Competition and Consumer Commission (ACCC) and advisor Dr Mike Vertigan will suggest options to quickly improve transparency in the gas market, to facilitate competition between producers and information for purchasers. The scope will include the full supply chain of producers, transporters and retailers. Gas market reforms arising from the recent ACCC gas review will be accelerated. These reforms will improve pipeline capacity trading and gas trading markets. The Federal Government is also establishing a Taskforce to manage implementation of the above outcomes, and report to the Cabinet Energy Committee.